The Angling Trust are looking for lady anglers who have aspirations to represent their country in the FIPSed World Angling Championships from 25th – 26th August 2012 in the Netherlands. 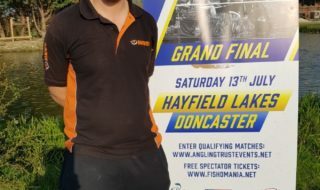 An England Ladies coarse International trial and assessment day will be held on Saturday 7th April 2012 at Hayfield Fisheries, near Doncaster. All applicants will be expected to complete an application form providing details of their past successes. Although some coaching will be given on the 7th April a knowledge of bloodworm fishing will be an asset, and anyone applying must be an individual member of the Angling Trust. 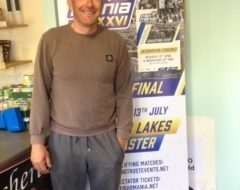 Dave Brooks and Joe Roberts, England team Managers will be looking for anglers who can work together in a squad and have the temperament to compete in what can be a very stressful environment. Representing one’s country puts a great deal of stress on any individual and it is very important in a team situation not to be fazed by the magnitude of the event. The day will consist of a 4 hour assessment under FIPSed international rules which means FLOAT ONLY. NO LEDGERING. The maximum pole length is 11.5 metres. 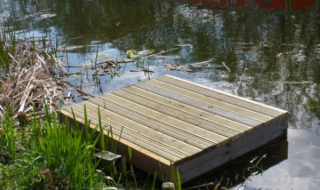 A limit will be put on the amount of groundbait and live baits. Unfortunately the England Ladies Coarse International team do not have a sponsor at the present time, and anyone who is selected would have to cover their own costs to compete in the World Championships. However, several fundraising events have been organised to help offset these amounts in 2012. Application forms are available by contacting Sandra Drew, Competitions & Events Manager, Angling Trust at sandra.drew@anglingtrust.net or telephone; 0115 9061 301. The closing date for the receipt of completed application forms is by no later than 30th March 2012. Anyone successful for the trial and assessment day will be selected by the team managers and notified in writing.